Supplied complete with, T93R MaXX Tip 517, T93 MaXX Tip Guard 7/8″ & Gun Filter 50mesh. 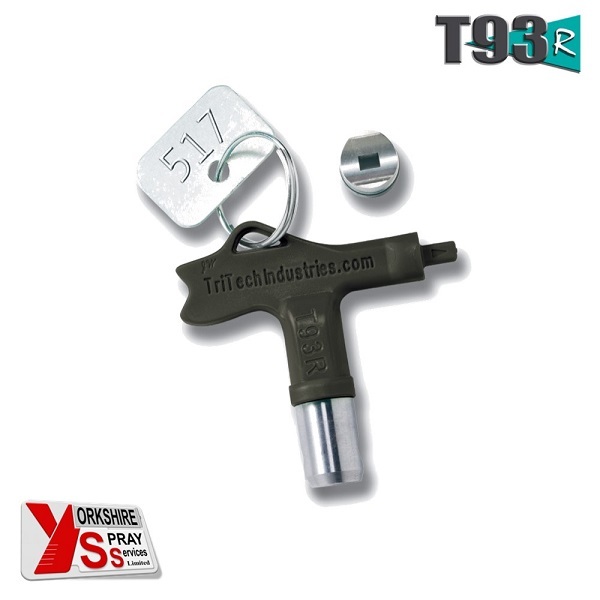 The TriTech T720 Maxx is a high quality airless spray gun with many beneficial features that will prove itself to you with every trigger pull. From the lightweight and balanced handle to the comfortable trigger pull and superior valve-stem design – this spray gun is professional quality through and through. Our TriTech products offer innovative, high-quality spray equipment products that are developed and manufactured behind a management team that has over 100 years of combined experience in the professional spray equipment industry. 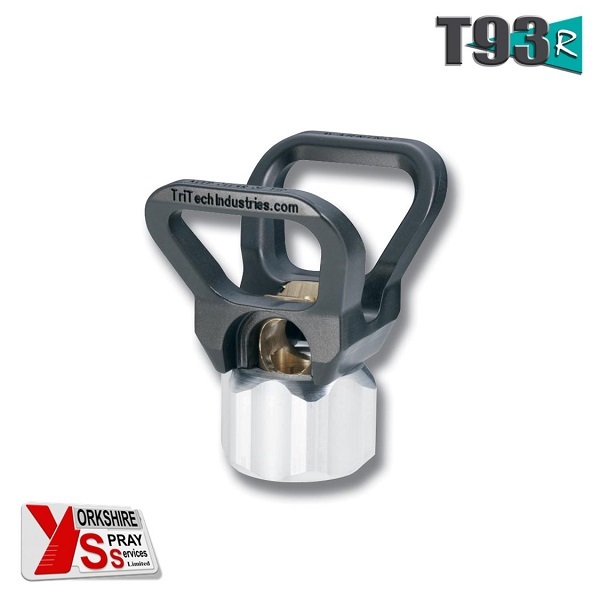 From our T93R and T93F Airless Spray Tip Systems with patented*, exclusive features, to our spray equipment accessories including our unique airless hose line and airless sprayer maintenance products — every product is manufactured to the highest quality standards. Positive Shut-Off – Shut-off valve spring is located outside the fluid passages for reduced friction and longer service life. Large Fluid Passages – Large-sized fluid passages and a stream-lined valve stem offer less restriction and improved flow. Easy Filter Access – The filter is easily accessed from the handle for cleaning or replacement. Uses standard filters available in three different mesh grades for all applications. TriTech’s product manufacture & strict quality assurance means reliability and durability that will meet or exceed the painter’s expectations. from defects in the material and workmanship in its manufacture.